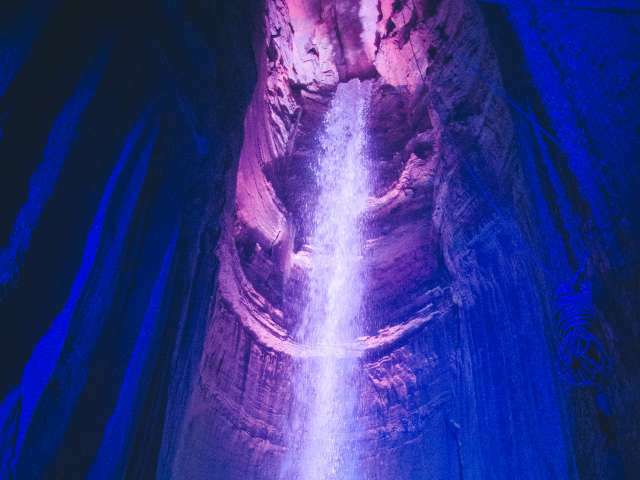 Ruby Falls is the largest underwater waterfall with commercial access in the world! You must see Rock City! This amazing, unique must-see attraction sits atop Lookout Mountain with panoramic views of seven states.
. . . be a Musician and learn a few basic guitar skills then see what it’s like to be in a band on stage at Songbirds Guitars? Children will explore the museum with a guided abbreviated tour while learning about the origins of rock and roll and the evolution of the electric solid body guitar from the 1950s through present day. Each exhibit features the guitars that made the music as well as the stories and artists that brought them to life. Songbirds Guitar Museum is historically accurate, educational and fun for both guitar enthusiasts and those new to the world of fretted instruments. 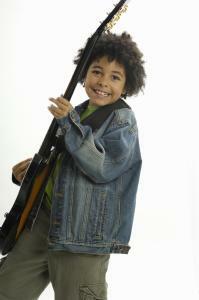 Following the abbreviated tour, kids will have the opportunity to pick up a guitar and learn some very basic chords. Then, they will get to jam on the stage with a seasoned musician and get the feel of making music with someone else on stage – as if they are part of a band! Songbirds Guitars is a guitar-oriented, pop culture museum experience for the whole family with extensive permanent and revolving exhibits featuring nearly 500 instruments. A few museum highlights include: Prototype 1950 Broadcaster serial #0009; Early Stratocasters #0102, 0103, and 0104; Pre-War D45 Martin Guitar; more than 300 custom-color Fender guitars, many of which are one-of-a-kind; 34 Gibson Les Paul Model Sunbursts from 1958-1960 – some of the most expensive of their kind and considered by many to be the Holy Grail of electric guitars; and so much more. The main exhibits are self-guided and the All Access Tours include a guided tour through the main exhibits and access to the Green Room and the Vault, where some of the most exclusive guitars in the world are displayed (require advance registration). The museum also offers regular live music, educational workshops, and can be booked for special events. Go on a Scavenger Hunt at Songbirds Guitars!